There is phrase often used when talking about personal finances, “Pay yourself first”. The basic concept is before you try to pay down debts or buy new things, you should carve out a little something for the ‘you’ of the future. It’s generally agreed that for this to be effective it should be done automatically, not something you consciously have to decide to do each payday. Money is finite but the list of things to buy with it is seemingly endless, so you should carve out a chunk to put aside before you blow it on that hand-knitted Christmas sweater that suddenly seems like an essential purchase. While I am terrible at paying myself first financially, I am a strong believer in applying this concept to my time. Just like money, time is a finite resource that needs to be carefully managed to achieve your goals. Unlike money you can’t earn more of it. This means we all try to cram more and more into a day. As a new parent I particularly felt this strain. Overnight my time became someone else’s. In my initial panic to keep our darling daughter alive and happy, I stopped going to the gym; there simply wasn’t time. Then I stopped reading, then writing, then sleeping and showering. I did all of this for good reason, but the net result was a happy baby and a tired, stinky and grumpy Daddy. I’d forgotten to pay myself first. When I finally figured this out it seemed so obvious, but at the time it didn’t seem that way at all. The solution was simple. I carve out 30 minutes a day just for me. Each day I figure out what to ‘spend’ it on, sometimes it’s a nap, others a blog post. I even manage to occasionally sneak in some video games. 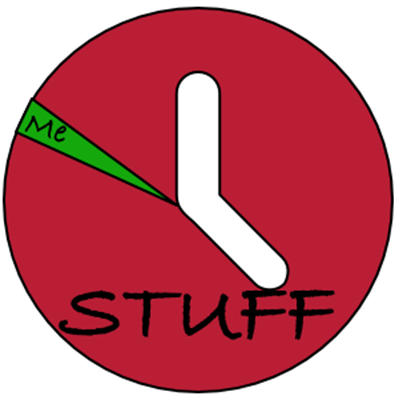 The other 23.5 hours a day are to spend on ‘stuff’, but that 0.5 is all mine. The difference that simple change makes is staggering, I feel like a new person. I have transformed into a tired, stinky but happy Daddy! My advice to achieve happiness is simple, pay yourself first. Carve out a tiny slice of your day and make it all yours, then fill it with whatever makes you happy. Make this a habit, not something you do every now and again, because if you don’t you will always find other ‘stuff’ to spend that time on. Follow HappyAct for weekly challenges to have fun and increase your happiness! Thanks again for guesting this week, Craig. I couldn’t agree more, now that both my kids are a bit older, we’ve definitely embraced “me time” again, but it’s important no matter what your stage in life to keep you happy and sane. 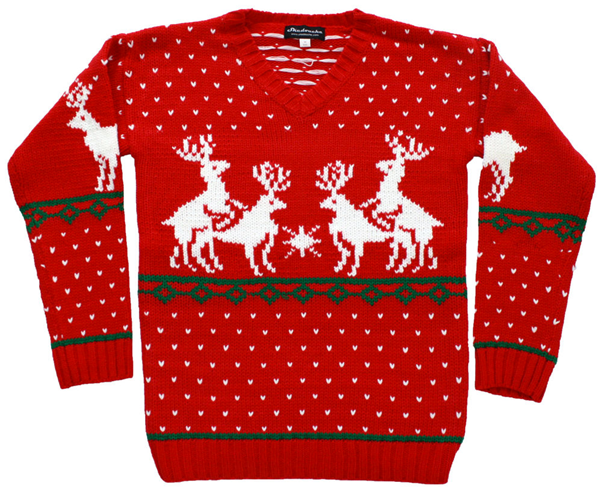 And I just have to say, I think that Christmas sweater would look smashing on you! I’m a little late on the comments, just taking a little ‘me’ time to get caught up on my blogs…I’m also in agreement with you Craig, even after three kids I still have to make a conscious effort to take a few minutes out of the busy, crazy, never-ending-laundry life of having little ones. Those few minutes make a huge difference in how I feel about the rest of my day, or even my week.